Is It Time To Update Your Kitchen? | Design Elements, Ltd.
It’s no secret that we are well on our way into the middle of this millennium, but what decade does your kitchen reflect? Does it have lighting circa the 70s or cabinets straight from the 90s? The key to making any kitchen last through the spilled milk and dried spaghetti sauce is to update periodically throughout the years. Regardless of where we all are on the updating/renovating spectrum, it’s always fun to stay up to date on what’s trending in the world of kitchens! From lighting fixtures to backsplash, read on to discover what is in now. We’ve seen this quite a bit lately– mixing copper with gun metal and silver with bronze. I know, it goes against everything your mother taught you growing up. But trust me! It’s really fun and gives your kitchen an eclectic, chic vibe. 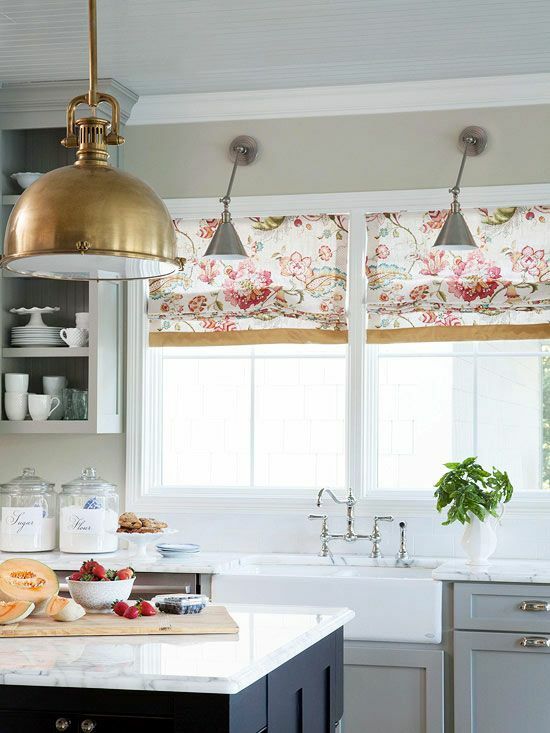 Think gold chandelier mixed with brass knobs or handles. There are no rules, so get a little creative, but remember I’m always here to give a consultation. Subway tiles are the new black, or the new back-splash at least. You can’t turn on HGTV without seeing someone gush over this exciting style. But, for good reason! The subway tile is versatile and can go in so many different directions. It can be perfect for the classic all white, French country kitchen and also for the urban and industrial type. 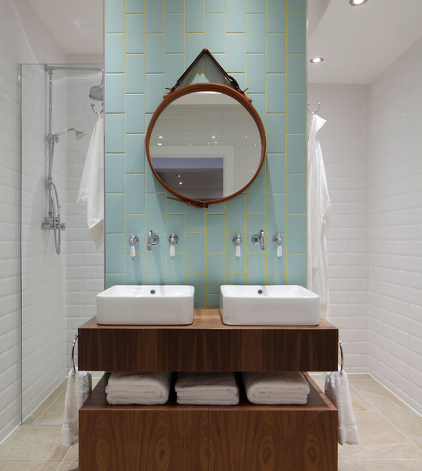 Design Tip: consider using colored grout for a unique way to add an extra element of surprise with subway tiles. When it comes to decorating, I sometimes believe that less is more (when paired with a few eye catching pieces) and the subway tile is perfect for capturing this understated, chic look that we’ve all been swooning over this year. When it comes to kitchen lighting think outside of the box. Literally. I mean drop the old boxed in LED lights and opt for something that’s slightly different and really unique! For my latest remodel I decided to bring in this fun, modern spin on Edison Bulb lighting fixtures. This particular style brings character to the room without compromising your vision.